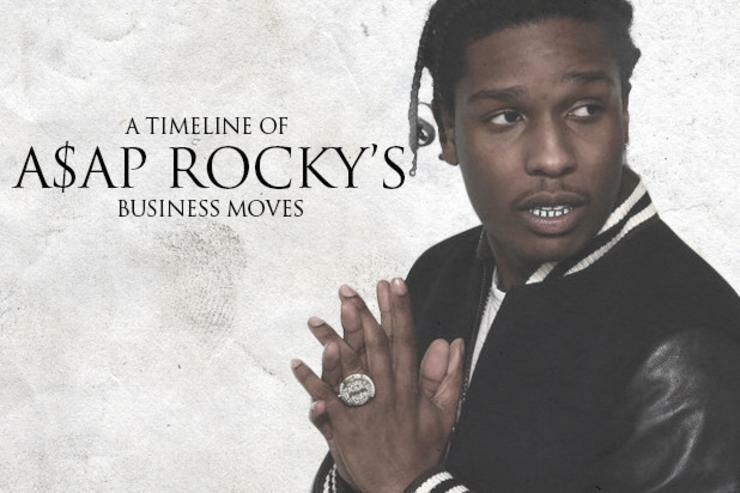 We track some of moves A$AP Rocky's been making since his debut album, two years ago. While anticipation grows for A$AP Rocky's second album's release, At.Long.Last.ASAP (A.L.L.A), Rocky has been up to a lot more than just rapping. Since the release of Long.Live.ASAP in 2013, Rocky has been on hiatus, at least, from the rapsphere. Even before he dropped his debut album, he started experimenting in the business of fashion. He's since taken on new roles as a director, producer, and model, all the while remaining a corporate fashion connoisseur. While choosing to remain out of the music limelight, we've also seen a more quiet, mature Rocky emerge, with a slightly different outlook on life due to the loss of his best friend and visionary, A$AP Yams, and a breakup from his supermodel girlfriend Chanel Iman. Despite all of this, Rocky has been working hard on numerous business ventures and big-name collaborations. Take a look to get caught up on what your favorite jiggy rapper has been up to in between albums. Unsurprisingly, a lot of it has to do with fashion. ASAP first became friendly with the West Coast brand, Black Scale in 2010 when he introduced himself as an up and coming rapper. With everyone decked out in Black Scale, after the video for “Purple Swag” went viral, from there on Rocky no longer had to pay a dime for the brand. When speaking about what attracted him to the brand Rocky said, “It was one of the first brands to do high end fashion mixed with street wear.” In 2012, A$AP Mob and Rocky released their collaborative line with Black Scale. The collection featured graphic t-shirts, crewneck sweaters, and hoodies all in line with the brands theme of darkness and clean cut lines. 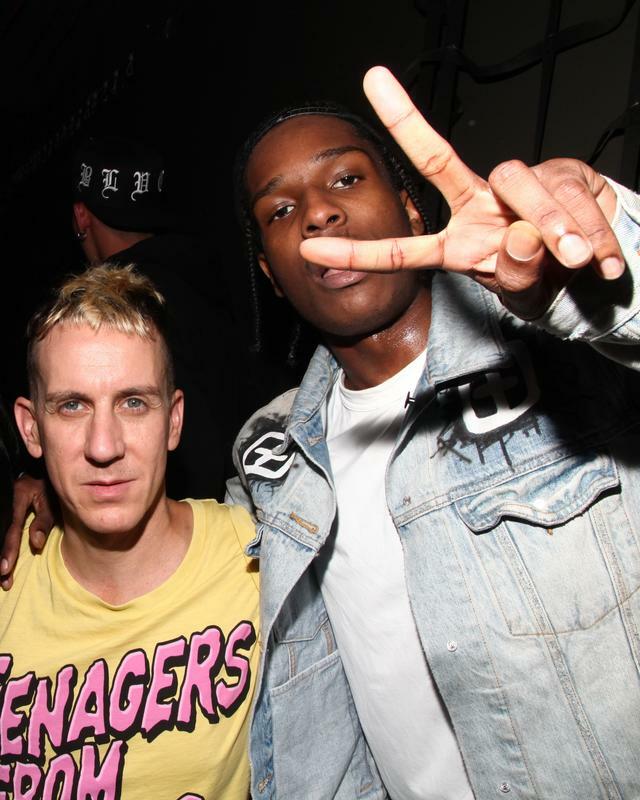 During April 2012, Rocky and his crew, ASAP Mob released a special edition Friends & Family tee in collaboration with well known NYC brand, Stussy. The tee sports the infamous camo’d Stussy logo, available in black and white. Although with only 32 pieces up for sale, it's safe to say the tee is the ultimate A$AP collectors item. You recognize the lyrics, “Raf Simons, Rick Owens, usually what I’m dressed in” from Rocky’s breakout track, “Peso,” so a collaboration between himself and Raf Simons could only be predicted. However don’t get your hopes up if you were looking to grab something for yourself as Rocky said it’s only a friends and family type of thing. Simmons made a special sweatshirt for his fashion show as donned by ASAP in the photo he uploaded to his Instagram account, driving fans wild. 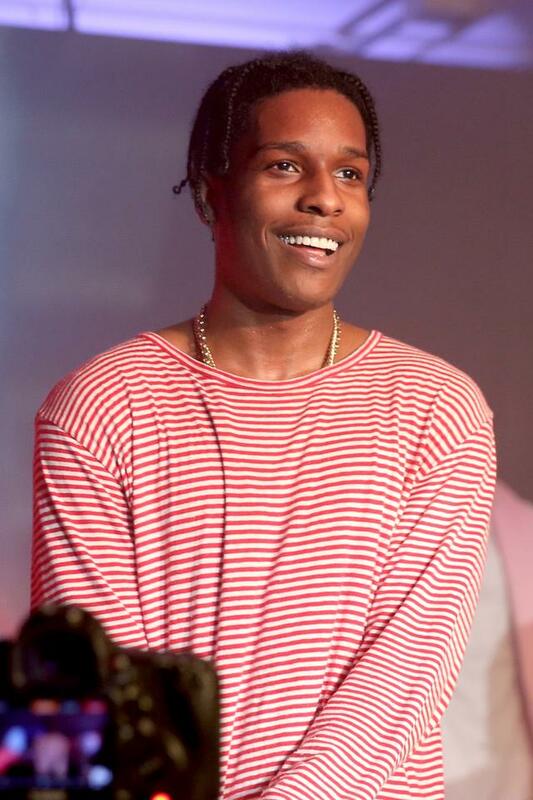 “He wanted an ASAP X Raf collab, to launch it all,” Rocky said, “It would have in a perfect world, but I just felt like that was more of a friends and family thing, that’s not something that you per say, sell.” While these items may not be for sale, I'm positive we will continue to see pieces made for A$AP made especially by Raf in the future. "Fashion is my religion, I was born jiggy," the braggadocious A$AP stated in a recent interview with MTV. Known for his keen taste in fashion, he is often found stunting in Alexander Wang, Ann Demeulemeester, or Rick Owens - just to name a few. Rocky says he began modeling by doing freelance work for Calvin Klein in 2005 and from there he has only moved forward thanks in part, obviously, to a successful rap career. Rocky joined others like Diplo in advertising Alexander Wang’s Fall 2012 Mens Ready to Wear line, and more recently, he joined the likes of supermodel/Insta-famous girls Cara Delevingne and Jourdan Dunn headlining DKNY’s 2014 spring and summer campaign. 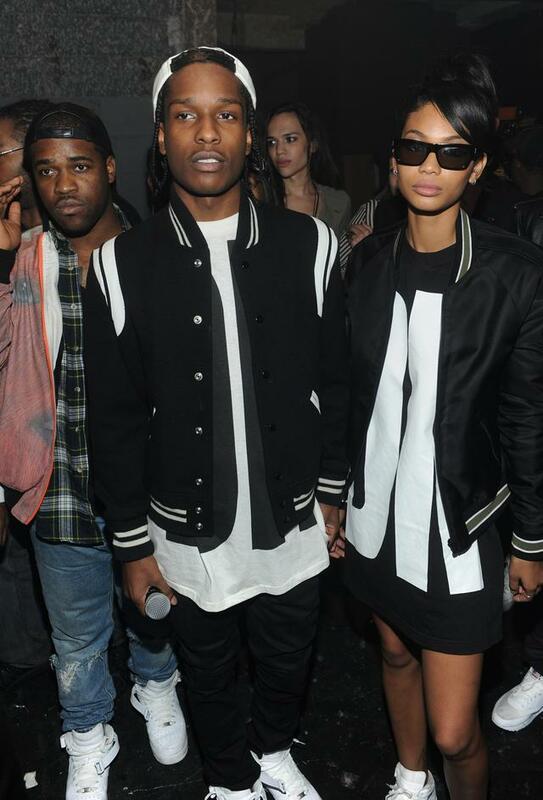 Last summer, Rocky and the rest of the A$AP Mob decided to release their capsule collection at retailers like Pacsun. The collection, heavily inspired by NYC in the early '90s, includes graphic t-shirts, tanks, jerseys, snapbacks, and of course the bucket hat. The collection is in black and white, containing everything from family portraits of the crew to the upside down black flag we see through all of A$AP's cover art. 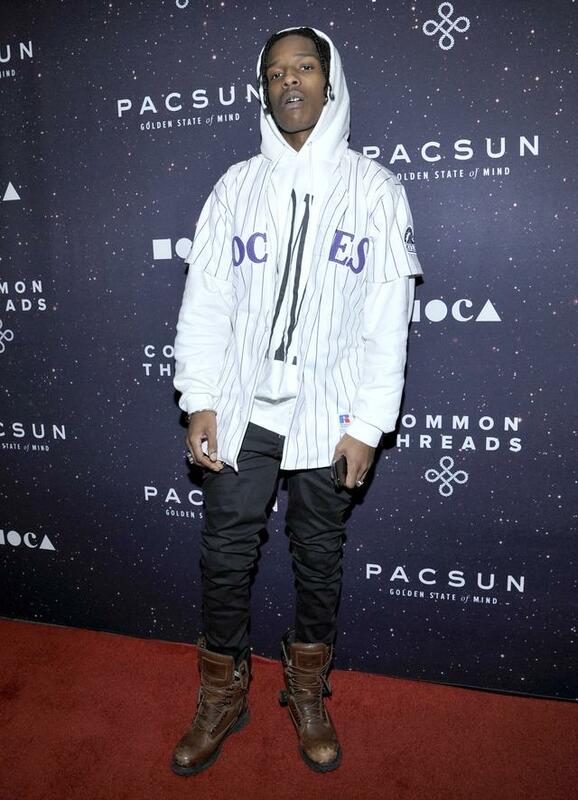 With previous partnerships at Pacsun like Been Trill and Yeezy’s tour merchandise, it makes sense that the A$AP Mob would be next up on the list, providing A$AP couture to teens (and probably tweens too) everywhere. Rocky recently joined the G.O.A.T. of hip-hop journalism for another addition of CRWN with Elliott Wilson, this time at the Tribeca Film Festival. 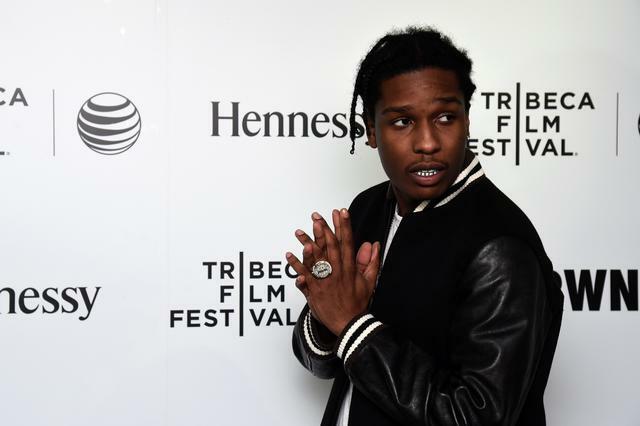 Due out June 19th, Rocky describes "Dope," an indie - comedy drama, as a combination of "Ferris Bueller's Day Off," "Spring Breakers," and "Juice." Despite it only being a small role as Dom, a 26-year old rapper from LA, Rocky gets a lot of screen time in the trailer which you can catch below. Next time he hopes to play a more challenging role, joking around with Wilson, “maybe a journalist or a brain surgeon. something elegant to test my intelligence." 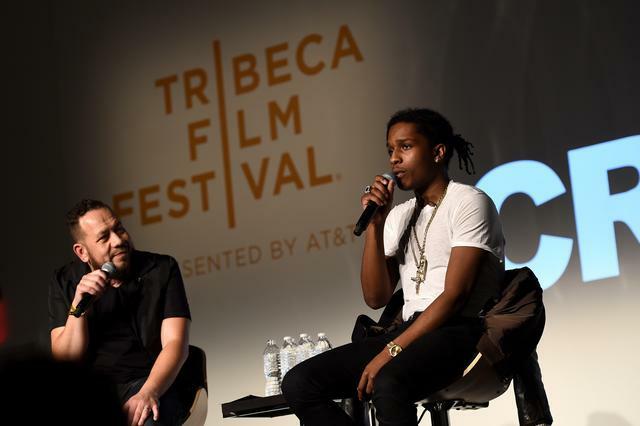 Coming in at #1 at this years Sundance Film Festival this past January it's safe to assume we'll continue to see more of Lord Flacko on the silver screen. 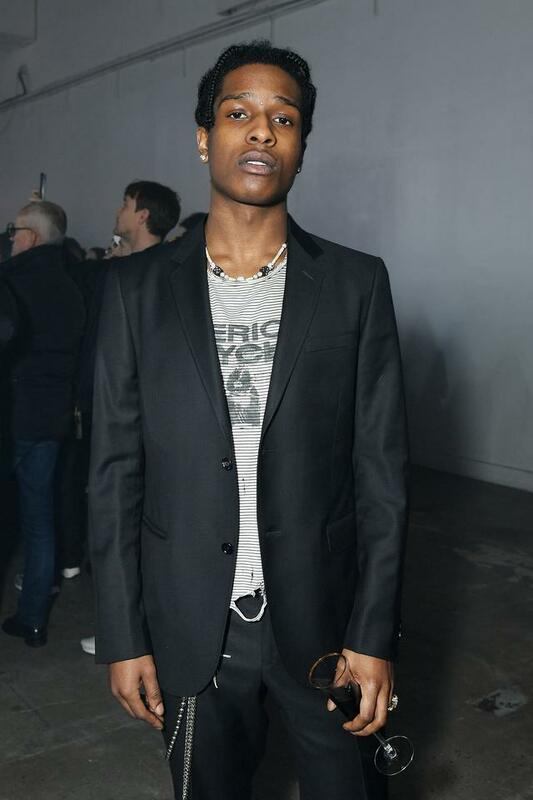 With photoshoots for Vogue and Mr.Porter, it’s no surprise Rocky landed a major deal with high-end fashion designer Salavotore Ferragamo. Ferragamo's online series campaign, “A Man’s Story,” is shot by photographer and filmmaker Francesco Carrozzini who also shot Rocky for his 2013 L’Uomo Vogue cover. Under the creative direction of the brand’s Massimiliano Giornetti, the line is out for the 2015 Spring/Summer collection. In the campaign’s video we can see Lord Flacko sporting Ferragamo’s dapper pieces of menswear, footwear, and accessories, walking on the shoreline, sharing personal reflections about his first big, successful performance. Rocky in addition to a few other men such as Henrik Lundqvist, are the perfect fit to model a collection created to highlight Ferragamo's own success and the notion of men "making your own rules." 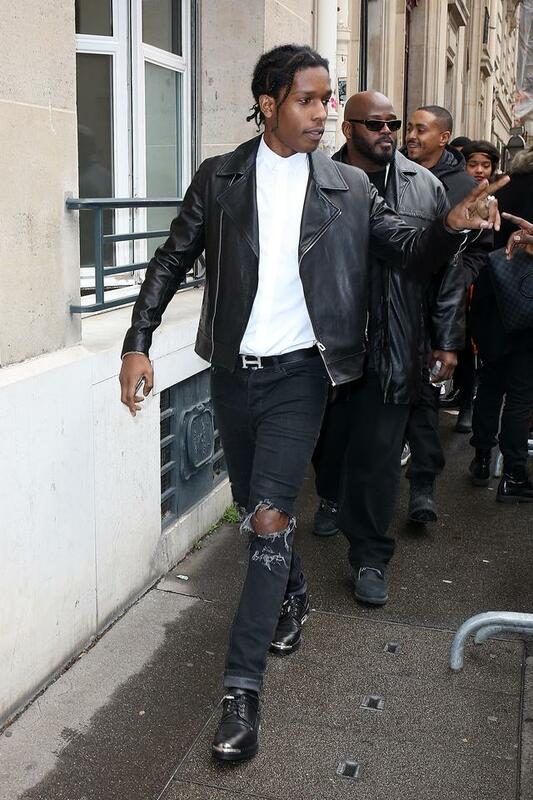 News Lists Features A$AP Rocky business fashion a.l.l.a.